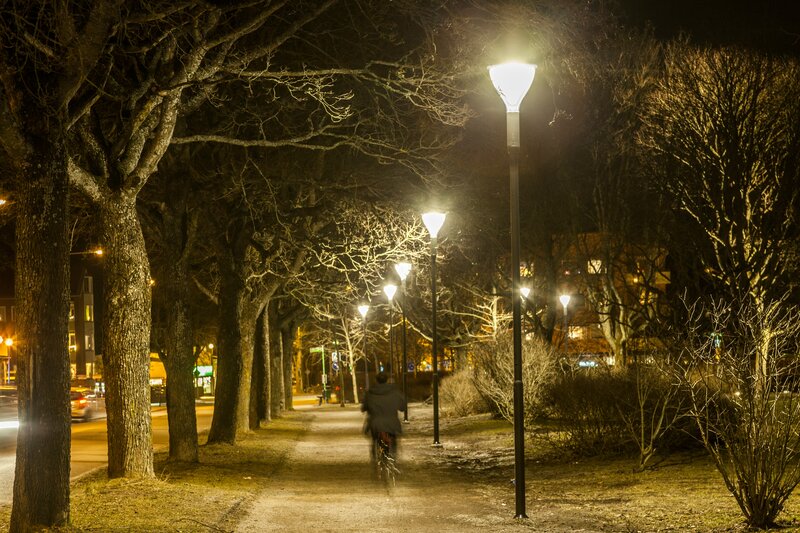 Uppsala, Sweden – Royal Philips (NYSE: PHG, AEX: PHIA), the global leader in lighting, today revealed the results of its experiment, &apos;Philips Light up the dark&apos;. 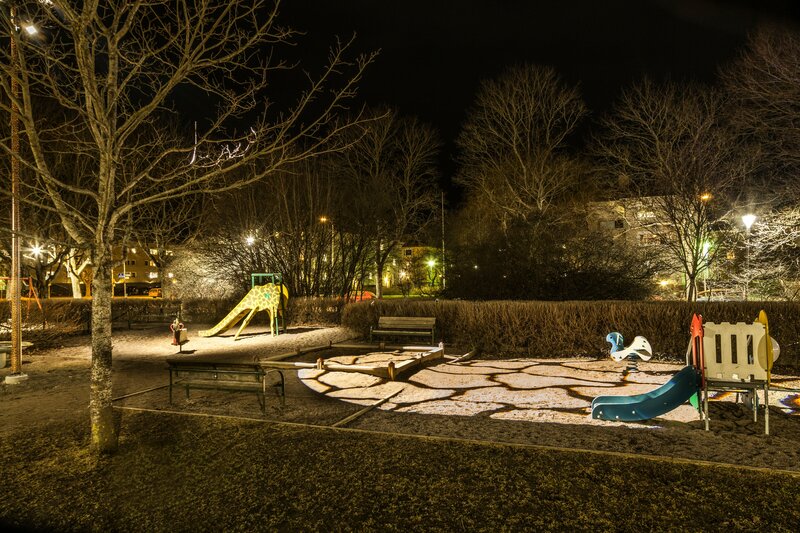 Launched last month, the experiment aimed to make playing outside easier for children living in a small community in Uppsala, where winter darkness falls in the early afternoon. Philips CityTouch connected LED lighting was installed in Tegnérparken playground and the results of the experiment revealed that the children played outside 37% longer (approximately 27 minutes) each day because of the initiative, reducing time spent indoors playing on electronic devices by 15% (reduced from 72 minutes per day to 61 minutes). Lighting, whether natural or artificial, affects all life on our planet. In humans, it plays a crucial role in regulating our circadian rhythm, the natural biorhythms of our body clock, and on the production of hormones in the body. It is proven that having enough light during the day, particularly during the winter, has a beneficial effect on mood and general quality of life. But lack of light in Sweden during the winter months means that many children do not play outside for long during the day. In fact, people living in the far north suffer from a higher incidence of ‘winter blues’. Mood-related issues and lack of energy typically start in autumn and can last well into the spring. 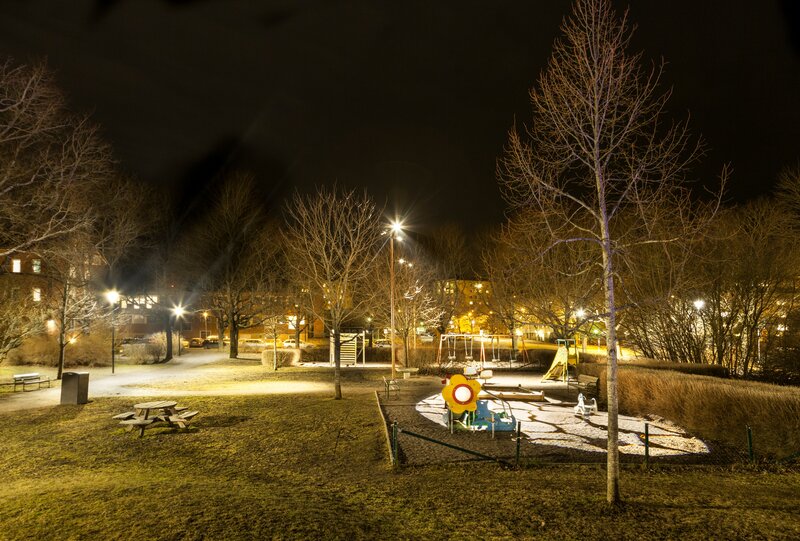 By installing Philips CityTouch, connected LED-lighting at Tegnérparken, it was observed that children in the area are now able to play outside no matter how early it gets dark. The ‘Light up the dark’ experiment initiated by Philips was conducted together with consulting firm Bjerking and the municipality of Uppsala, to explore whether increased opportunities for outdoor play would affect young children. The lighting is now a permanent fixture of the playground. Tegnérparken has been lit up using the latest innovations in energy efficient LED-lighting which creates good quality light that makes the park bright, vibrant and more alive. The children in the local kindergarten class were intimately involved in the installation and actually chose the color palette for the light bulbs throughout the park. Prior to the installation of the lighting in the park the children spent an average of 72 minutes a day playing outside. In the week following the installation, this rose to an average of 99 minutes of outdoor play time a day. This represents a 37% increase in time spent outdoors each day once the park had been lit. During the same period, time spent playing inside with electronic games or watching television dropped from an average of 72 mins a day to 61 mins a day. This 15% reduction represents approximately one hour less per week spent in front of a television or playing electronic games. 86% of parents surveyed reported that their children generally spend less time outdoors playing in winter time. During the week following the installation, 38% of parents played in the outdoors each day with their child/children. 57% of parents report seeing a noticeable improvement in their child’s mood when they play outside. They report the child being ‘more content’. 28% of parents report their child as having a better appetite after outdoor play. 43% report a positive impact on sleeping patterns. Philips has developed a report outlining the findings of the experiment. Additional information including videos and commentary is available at www.livingexperiments.philips.com, #lightupthedark. Royal Philips (NYSE: PHG, AEX: PHIA) is a diversified health and well-being company, focused on improving people’s lives through meaningful innovation in the areas of Healthcare, Consumer Lifestyle and Lighting. Headquartered in the Netherlands, Philips posted 2014 sales of EUR 21.4 billion and employs approximately 105,000 employees with sales and services in more than 100 countries. The company is a leader in cardiac care, acute care and home healthcare, energy efficient lighting solutions and new lighting applications, as well as male shaving and grooming and oral healthcare. News from Philips is located at www.philips.com/newscenter. .